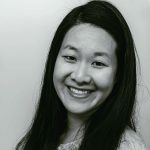 Published Nov 27, 2018 By Julia Leave a CommentThis post may contain affiliate links. 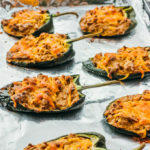 These healthy stuffed poblano peppers are a simple weeknight meal that’s hearty and flavorful. 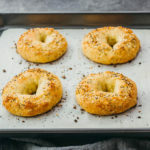 They’re great for anyone on a low carb, keto, or gluten free diet. 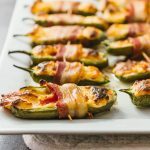 These stuffed poblano peppers are very meaty and cheesy, and roasting them really brings out a fantastic pepper flavor. They’re only mildly spicy at best, since the seeds are removed. For a spicier version, you can leave some seeds in each pepper instead of discarding them all. The filling is a mixture of ground beef, cheddar cheese, and cream cheese (inspired by the stuffing in my bacon wrapped jalapeños and asparagus) and flavored with chili powder and tomato paste. It has a definite Mexican style taste. 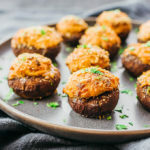 These stuffed peppers are designed to be keto friendly; they’re low in carbs, just 5g net carbs per serving (2 pepper halves). Poblano peppers are available in the fresh produce section of supermarkets. They’re likely one of the larger pepper varieties available — each pepper is about 4-6 inches long and 2-3 inches wide. For this recipe, you should be buying fresh ones, not dried (dried poblanos are called ancho peppers). 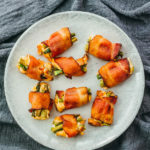 In the U.S., producers and grocery stores often mislabel the poblano pepper as a “pasilla pepper,” which is actually the dried form of the chilaca pepper and is narrower in shape (about 7 inches long and 1 inch in diameter). If this is your first time buying poblano peppers, familiarizing yourself with its appearance beforehand will help you locate it in the grocery store. I usually select poblanos that are rounder and easier to stuff. I also try to find ones that are generally the same size so that the baking time is consistent for all of them. Lastly, I try to find fresher ones with intact stems and non-wrinkly skins. Poblano peppers are generally not very hot, measuring only 1000 – 1500 Scoville units. However, they can be unpredictable in their heat and some are significantly hotter than others (even from the same plant). For that reason, I recommend removing the seeds and any large membranes from the pepper. When doing so, wear protective gloves since capsaicin is an irritant for many people. Most of the heat is in the seeds and membranes, so the remaining pepper is relatively mild. 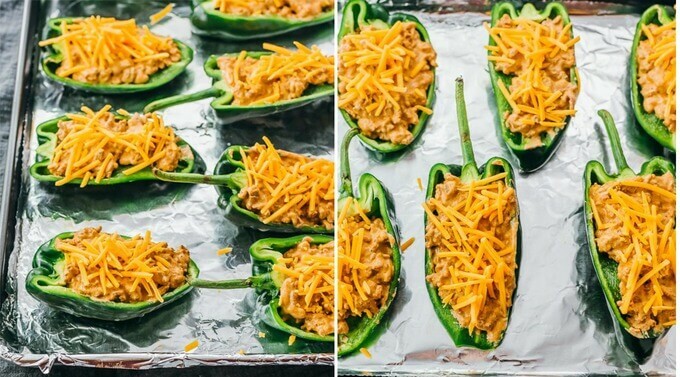 The baking time for these stuffed peppers depends on the size of your peppers and your taste preferences. I find that 25 to 30 minutes is typical. I usually bake for 30 minutes because my poblanos are on the larger side, and I prefer them to be extra tender. 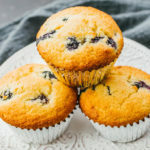 If you like a crisper bite, you may want to target a baking time of 25 minutes. 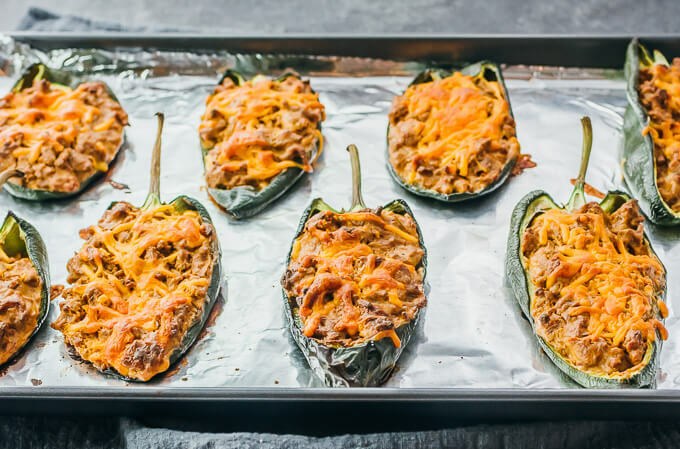 These healthy stuffed poblano peppers are a simple weeknight meal that's hearty and flavorful. 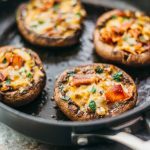 They're great for anyone on a low carb, keto, or gluten free diet. Add olive oil to a pan over medium heat. Add beef and break it apart as it cooks, about 5 minutes until browned. Add tomato paste, chili powder, and salt to the pan, and stir together with the beef until well-mixed and tomato paste has dissolved, about a minute. Continue cooking until nearly all liquid has evaporated, a few minutes, stirring occasionally. Turn off the heat. In a large heatproof bowl, microwave cream cheese until very soft and pliable, about 30 seconds. Transfer the beef mixture to the bowl, leaving any excess liquid in the pan. Stir the beef and cream cheese until well-mixed. Set aside. Preheat the oven to 400 F. Prepare a foil lined baking sheet. Slice each poblano pepper in half lengthwise. Remove and discard seeds (gloves are recommended). Stuff each pepper half with the beef-cheese mixture, and place on the lined baking sheet. 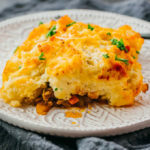 Distribute cheddar cheese on top. Bake at 400 F until the peppers are very tender, 25 to 30 minutes. 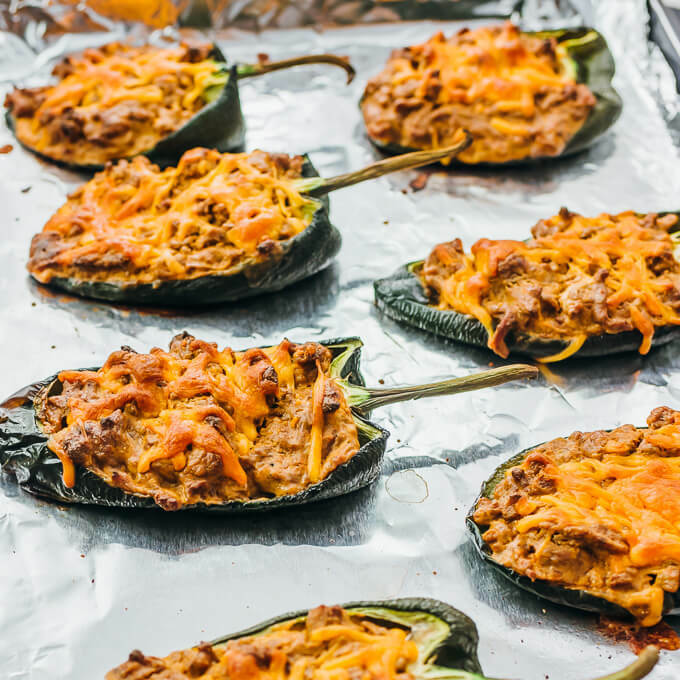 This recipe yields 5 g net carbs per serving (2 stuffed pepper halves or 1/4 of the recipe).